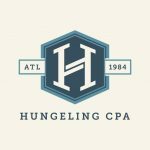 Hungeling CPA, PC is a public accounting firm in Atlanta, GA. They service small business clients through compliance, accounting write-up, business solutions, estate and trust administration, individual income tax compliance, real estate transaction planning and QuickBooks support. Work For Hungeling CPA, PC? Claim This Page.